Mad Catz, maker of all sorts of cheapish gaming accessories (and upcoming Android-powered gaming console M.O.J.O.) is looking to change the landscape and make PC gamers feel right at home with its newest announcement: say hello to S.T.R.I.K.E., an NFC-equipped Bluetooth gaming keyboard designed specifically for Android. 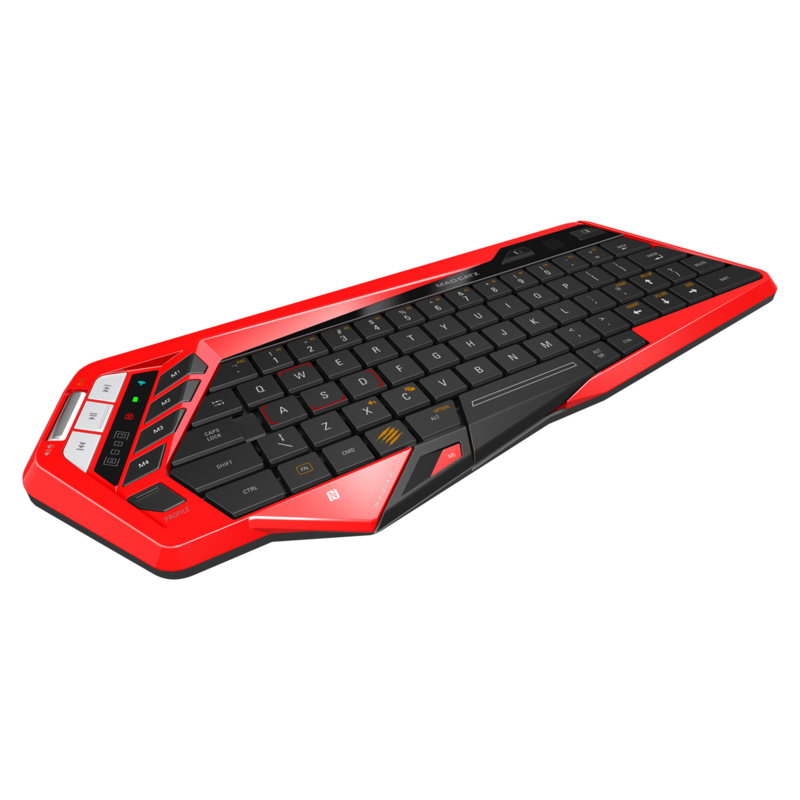 This is the newest member of a line of mobile gaming accessories that Mad Catz is calling GameSmart. Keeping in line with the company's love for acronyms, S.T.R.I.K.E. "features micro P.U.L.S.E. 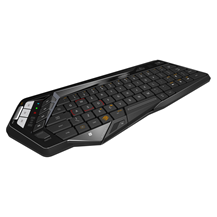 scissor keys for crisp actuation with tactile click response and an Optical Finger Navigation Mouse Sensor with dedicated mouse buttons." Sounds I.N.T.E.N.S.E. According to the press release, S.T.R.I.K.E. will have "striking aesthetics" (womp womp womp), though we can't say whether or not we agree because images of the keyboard are nowhere to be found. All we know is that it will come in gloss black, gloss white, and gloss red. Shiny. We've reached out to Mad Catz and requested images, and will update when/if we hear something back. Unfortunately, images aren't the only thing missing from this PR, either – there's nary a word on pricing, and availability is left at a rather ambiguous "in time for Holiday 2013." 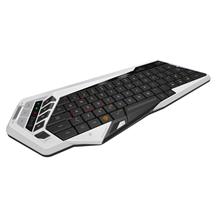 SAN DIEGO--(BUSINESS WIRE)--Mad Catz Interactive, Inc. (“Mad Catz”) (NYSE MKT/TSX:MCZ) announced today the S.T.R.I.K.E.M Mobile Keyboard. Expected to ship in time for Holiday 2013, the S.T.R.I.K.E.M features a tablet sized footprint, ideal for mobile use and designed to interface with a wide variety of platforms and smart devices including the Company’s forthcoming M.O.J.O.™ Micro-Console™ for Android™. Part of the Company’s range of GameSmart mobile products, the S.T.R.I.K.E.M features NFC technology allowing gamers to connect the keyboard simply by tapping it to a compatible device. For products without NFC compatibility, integrated Bluetooth allows for use with a wide variety of hardware including smartphones, tablets and laptops. “The S.T.R.I.K.E. range has proven to resonate with passionate gamers, and we are excited to extend the brand into mobile gaming with a technically advanced product, which combines impressive features with striking aesthetics,” said Darren Richardson, President and Chief Executive Officer of Mad Catz Interactive. "We believe the S.T.R.I.K.E.M fits perfectly with our long-term strategy of designing innovative products for passionate gamers across all gaming platforms."